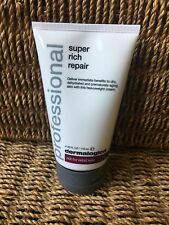 Dermalogica Super Rich Repair 118 ml size anti ageing treatment New Last one! HOLIKA HOLIKA ALOE 99% SOOTHING GEL 250ML. Capacity : 250ml. 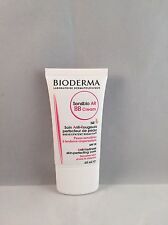 Its gel type formula penetrates deep within the skin but does leave skin feeling greasy or sticky. Furthermore, natural components in the gel make it suitable for the entire family! From natural essential oils. 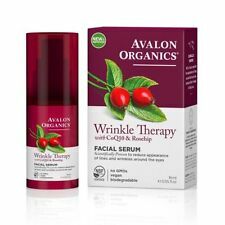 The key to the results this effective combination brings is that is mimics the natural balance of your skin. Eau Thermale Avene Skin Recovery Cream 50ml. Pump a dollop of the serum on your hand and apply it on your face and neck. Rich in amino acids and minerals, green tea from Jeju's own green tea leaves hydrates your skin. - oily skin: The green tea fresh line. 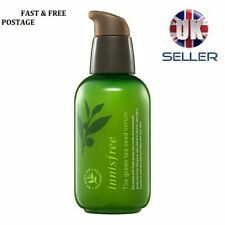 Genuine Oil of Olay Beauty Fluid Moisturiser - 200 ml Formerly known as Oil of Ulay. Manufactured by Procter & Gamble. PLEASE NOTE, THIS IS THE LARGE 200ml BOTTLE - classic version. If you require the sensitive version, please see our other listings. 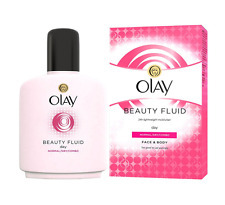 Olay Beauty Fluid moisturiser is the one-bottle solution for your skin care needs. Provides essential 24 hour daily moisturising, leaving your skin soft, smooth, light and silky. It's also an ideal base for make-up, with moisture-rich nutrients helping to lock in natural moisture and maintain daily skin hydration level. The Body Shop Vitamin C Instant Glow Enhancer 25ml Brand New. 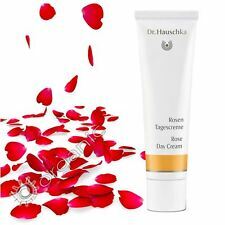 Generous and ultra-nourishing cream that intensely reconstitute superior layers of the epidermis. Morning and/or evening over whole face. Neal's Yard Frankincense Hydrating Cream 50g new and sealed. Condition is New. Fantastic for smooth soft skin Dispatched with Royal Mail 2nd Class. The main ingredient of the mist is the COCONUT WATER being a natural isotonic, providing. ALOE VERA JUICE soothes, hydrates, strengthens and smooths the skin and. The mist does not contain alcohol. It is mild, of skin-neutral pH. It is a perfect way for skin. Anti Ageing. We have over 10 years of experience in the Health & Beauty category. All our products are sourced either directly from the manufacturers or reputable distributors. Jungle Formula. Shivay Herbals. COSRX ADVANCED SNAIL 96. Advanced Snail 96 Mucin Power Essence is created from nutritious, low-stimulation filtered snail mucin. The filtered snail mucin contained in Advanced Snail 96 Mucin Power Essence penetrates under the skin into the invisible. Packaging May Vary! ---Combines the concentrated goodness of naturally active, finely-milled oats with rich emollients ---Clinically proven formula goes beyond 24 hour miniaturisation to replenish the skin's natural barrier function ---Significantly improves the condition of dry skin in just two weeks ---Absorbs quickly ---Leaves skin looking and feeling soft, smooth and healthy Product Description Aveeno Daily Moisturising Lotion, 300 ml. Indications Dry skin Ingredients [FPT-0574], Aqua, Glycerin, Distearyldimonium Chloride, Isopropyl Palmitate, Paraffinum Liquidum, Cetyl Alcohol, Dimethicone, Avena Sativa (Oat) Kernel Flour, Paraffin, Cera Microcristallina, Stearyl Alcohol, Myristyl Alcohol, Benzyl Alcohol, Sodium Chloride Directions Apply daily after your bath or shower. Box Contains ---1 x Daily moisturising lotion 300 ml. A creme especially made for men, suitable for face, body and hands. 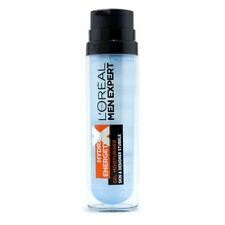 Non-greasy, non-sticky and absorbs quickly. Cares and hydrates the skin and prevents it from drying out. Suitable for face, body, hands. Coconut Oil, 100% Organic PURE Natural 25g - 5kg Refined. Organic, natural and pure coconut oil. Ideal for daily use, the fast absorbing, lightweight cream combines an infusion of aloe vera, horsetail, nettle and burdock to soothe skin, whilst skin healing rose hip, wheat germ, jojoba and avocado oil work to promote healthy skin. 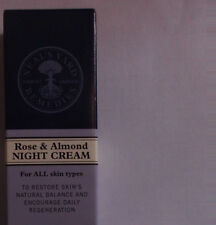 50ml Liz Earle Skin Repair Moisturiser for Normal/Combination skin type. Naturally Active ingredients inluding borage and avocado oil, echinacea, beta carotene and naturally source vitamin e. Intensely moisturises, smoothes and protects against moisture loss. COSRX Advanced Snail 96 Mucin Power Essence - 100ml, UK Seller! Cosrx Advanced Snail 96 Mucin Power Essence - 100ml. On cheeks, spread a more generous amount and gently massage and pat to soak into the skin. As for the under eye area, lightly tap the essence onto skin. 5 out of 5 stars - COSRX Advanced Snail 96 Mucin Power Essence - 100ml, UK Seller! 7 product ratings7 product ratings - COSRX Advanced Snail 96 Mucin Power Essence - 100ml, UK Seller! 50ml Full Sized Sealed Tube. For Normal / Combination. Sweep over your cleansed face and neck each morning / evening. COSRX Oil Free Ultra Moisturising Lotion (With Birch Sap) - 100ml, UK Seller! The product now also has an upgraded formula containing70.8% Birch Sap. Further details are available upon request! Smooth or pat over skin, until fully absorbed. This causes the skin to produce more oil and widens the pores. 5 out of 5 stars - COSRX Oil Free Ultra Moisturising Lotion (With Birch Sap) - 100ml, UK Seller! 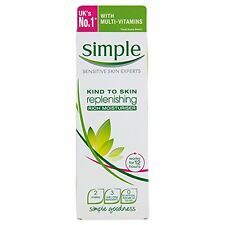 1 product rating1 product ratings - COSRX Oil Free Ultra Moisturising Lotion (With Birch Sap) - 100ml, UK Seller! It is also oil-free so suitable for those sensitive to oil-based lotions. It’s suitable for all skin types, including sensitive, oily, and acne-prone skin. COSRX BHA BLACKHEAD POWER LIQUID 100 ML. BHA Blackhead Power Liquid gets rid of dead skin cell and blackhead within the pores and prevents oxidized sebum from turning into blackheads. BHA Blackhead Power Liquid has mixed a natural BHA ingredient, Betaine Salicylate, at 4%. HIALURO . protects from UVA and UVB – SPF 15. Active ingredients: Thermal water, Hyaluronic acid, Hydroveg VV, Protective filters UVA, UVB – SPF 15, Glycerine, Allantoin, Urea. does not clog pores. With your face it’s all in the planning. No Animal testing or ingredients. Suitable for vegans. Vegetarian Society approved. Made in the UK. It is a rich source of natural collagen, elastin, allantoin and vitamins. In Asia, used for instant skin regeneration after plastic surgery coincidences. Snail secretion. Snail secretion is a kind of an external bodily mucus produced by snails and obtained without any harm to the animal. AA Help Nourishing Face Cream has been designed to treat skin conditions: over-dryness, hypersensitivity, atopic skin and skin prone to allergies. It contains natural oils which protects skin natural barrier and deeply regenerate the skin leaving it soft and healthy. 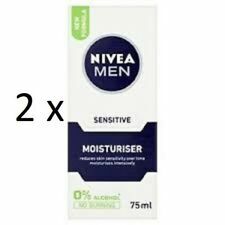 NIVEA. All the care you need. We will try our best to reduce the risk of the custom duties. 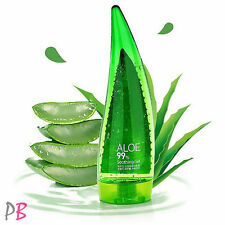 Nature RepublicÂ’'s Aloe Vera 92% Soothing Gel is a gel formulated with 92% Aloe Vera extracts. After your basic skincare routine, gently apply an ample amount onto face and body especially to dry parts. Combination / Oily. Light, gentle and balancing. Borage and Avocado Oil. 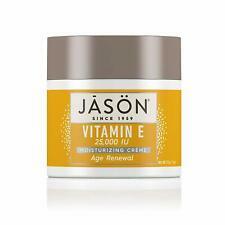 Natural Source Vitamin E.